SINC Site Schedule - Spring 2019 Did You Know? What is a SINC Site? SINC Sites are public computer labs that allow users to access both Windows & Mac computers. SINC Sites provide printing services and access to numerous academic software titles. These computer labs are located in a majority of the academic buildings on campus and have scheduled open hours. Did you know that SINC is an acronym for Students In Need of Computers? 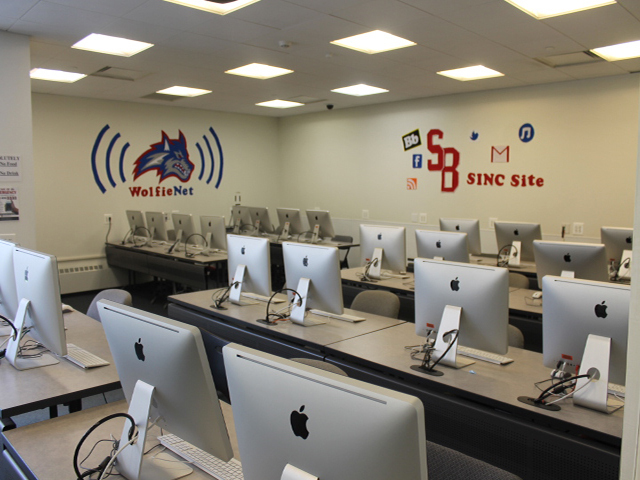 The name SINC Site was coined years ago when the first lab opened and historically stood for for Stony Brook Instructional Network Computers. There are now a total of 14 public SINC Sites & 2 SINC Sites dedicated to classes only on campus as listed below. Plus DoIT has PC's & printers located in the Melville Library Reading Rooms. In addition to the DoIT - managed SINC Sites, we also support the Print from Anywhere service. Other computer labs on campus can be found in the Health Sciences Center and Residential Computing Centers. 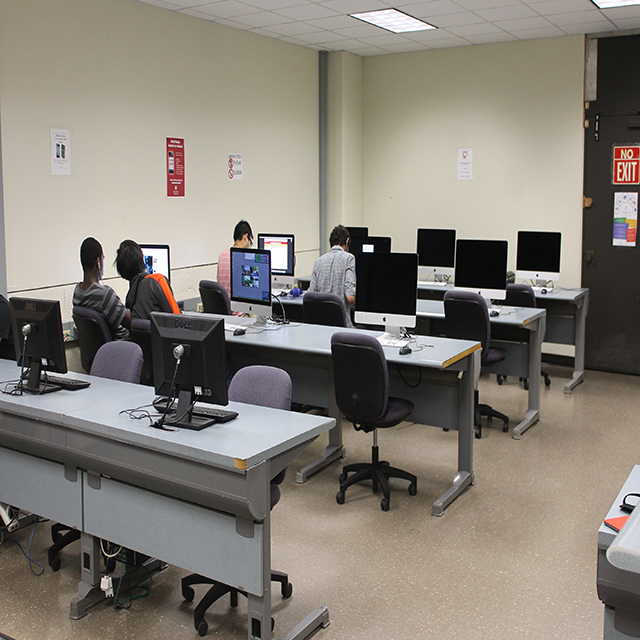 - The ESS SINC Site is a dedicated computer classroom with no public hours. 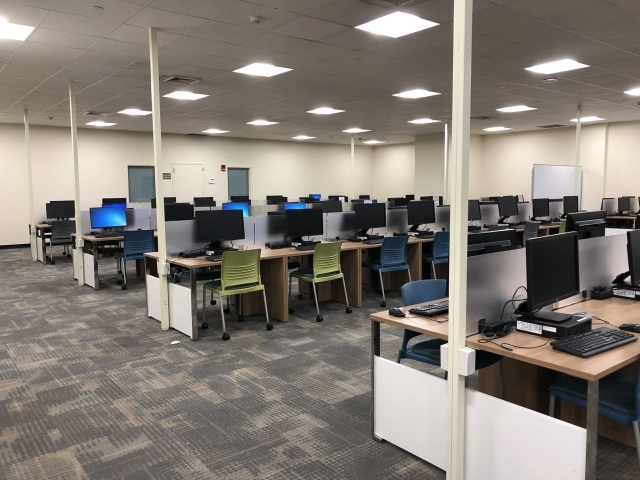 - It has 24 Windows PC's, one printer setup for direct printing and a teaching station connected to dual data projectors. - The Math SINC Site is a dedicated computer classroom with no public hours. - The Math SINC Site has 45 Linux PC's and a teacher station connected to a data projector. Find the nearest computer lab, SINC Site or Printer Release Stations. 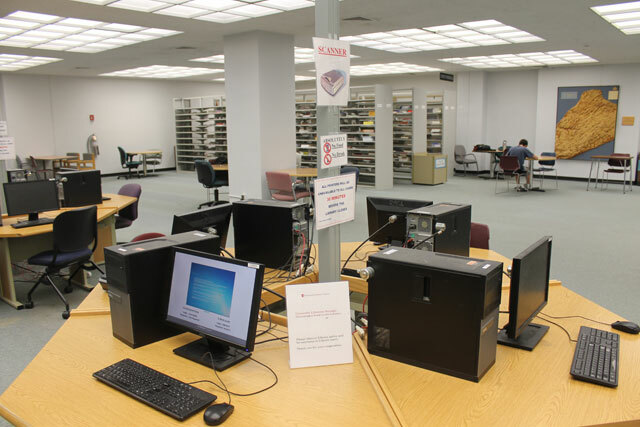 All registered Stony Brook students have a semester long quota of ~2100 pages ($105) in the SINC Sites, Health Sciences Library, and Residential Computing Centers or by using the Print From Anywhere service. Funding for student printing comes from the Student Technology Fee. 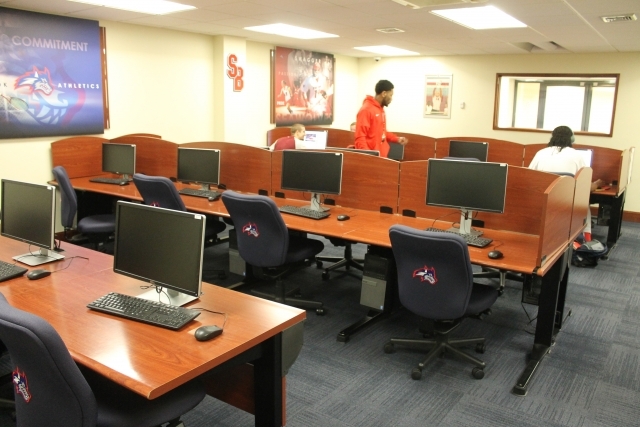 Stony Brook uses the Pharos system to manage printing. In order to print, send print jobs to the print queue from a SINC Site computer, or from a personal computer using the Print From Anywhere software, web browser, or email. 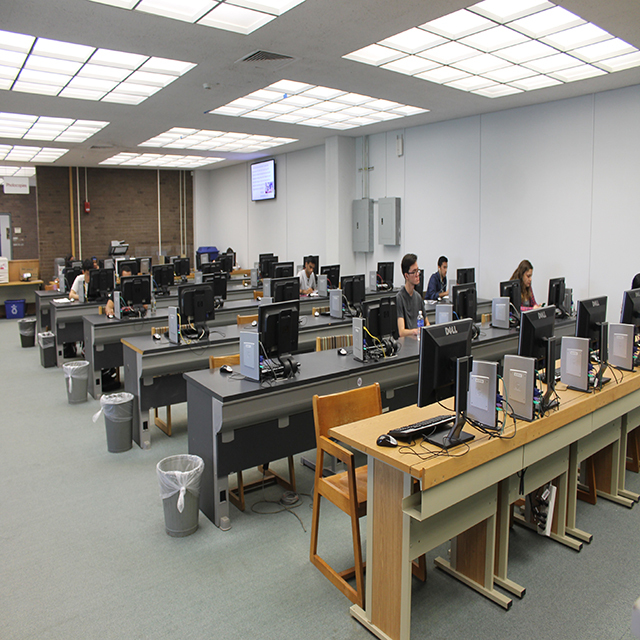 Students need their Stony Brook University ID card to release their print jobs. How do I become a CES student employee? What are the general SINC Site policies? What types of computers are available at SINC Sites? Where do I go if I need help in a SINC Site? How do I print in a SINC Site? How do I scan multiple pages on a SINC Site Mac using VueScan software? How do I scan on a SINC Site Mac using VueScan software? How do I reserve a SINC Site (Computer Classroom) for my class? How do I request specific software be available on SINC Site computers? What software is available in SINC Sites (Mac)? What software is available in SINC Sites (Windows)?